Carlos Andrés Gómez captivated the audience with his energetic speaking style. What happens after we graduate from Hopkins? Education is easy to plan out; a career path is a lot more complex. 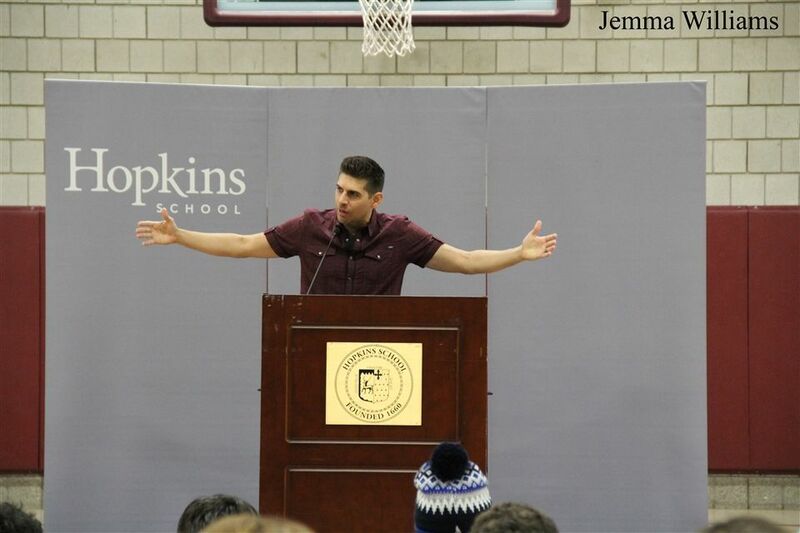 Over the course of the school year, Assembly speakers give the Hopkins community a glimpse into the passions and interests that can be pursued in the future. While certain aspects of each speaker may resonate with different people, certain presenters are popular across the community because of their energy, passion, and good speaking habits.